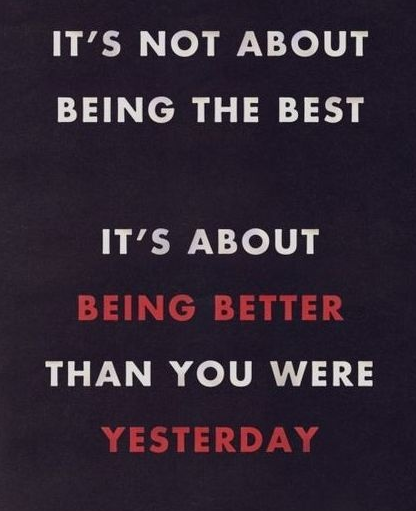 Every day we are given the option to improve ourselves. We never have to be the same as we were the day before. We can learn from our mistakes and grow. We can become a better friend, family member, student, employee and more. We never have to settle. 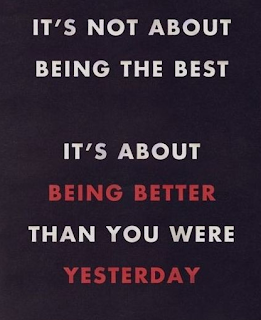 However, when it comes to becoming better, we must be willing to put forth the effort to improve ourselves. We can't expect to wake up better than we were before. It requires a little hard work and effort to truly improve and progress through this life. This great pin is found on Pinterest. It was shared by Amanda Renee, via Kymmber Christiansen.